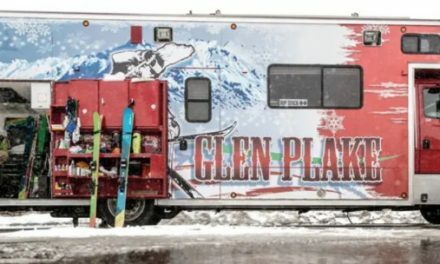 Many skiers scoff at skiing what they call the White Ribbon of Death, that narrow, crowded man-made trail that some ski areas offer from opening day until conditions allow for more complete snow coverage. But when Colorado’s Wolf Creek opened on October 13 and Loveland, Arapahoe Basin, and Killington followed a week later, I knew I had to give it a try. I mean, skiing in October? How was that possible and what was it like? Clearly, I’m not the only one who felt this way. 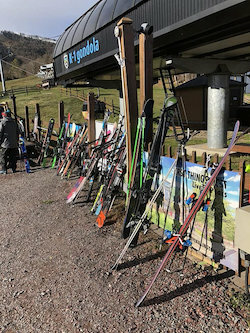 Here in Vermont, Killington reports that its scanning system recorded six hundred distinct tickets on opening day, so there must be something to this fall skiing thing. 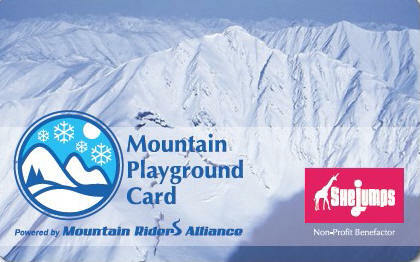 I drove to the mountain on Monday, October 22, to see what the excitement was all about. It felt surreal and a bit silly to load skis in the car with not a flake of snow on the ground. 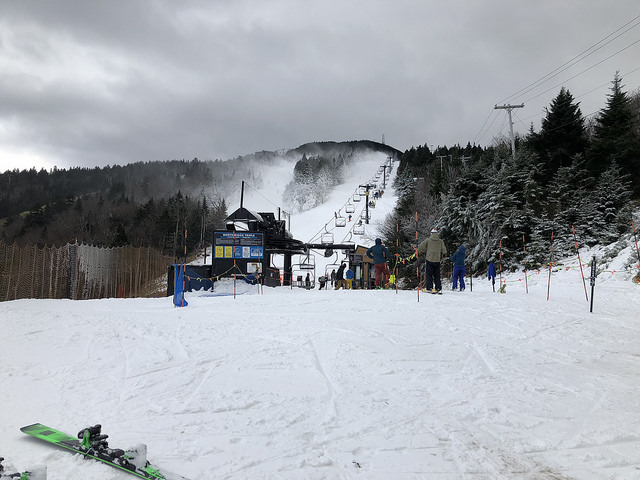 But approaching the base lodge, it was clear that Killington gives a whole new meaning to the phrase pushing the season. The Superstar trail was enveloped top to bottom in a cloud of snowmaking; an incongruous winter wonderland amid the not-yet-faded foliage. Superstar, however, was being prepared for the Audi FIS Women’s World Cup race in late November and was not open for skiing or riding. 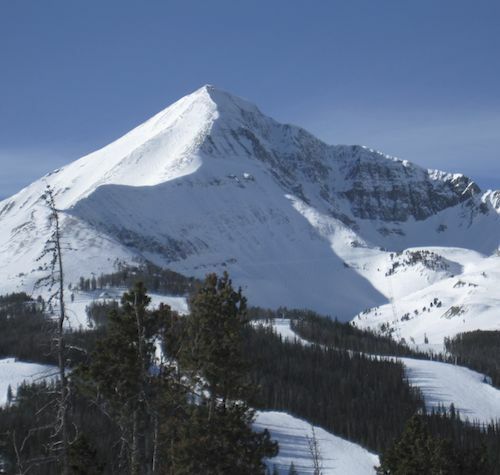 Instead, way up at the peak, just below the summit lodge, was a patch of white beneath the visible spray of snow guns. And that little patch was open in the form of two 600-foot intermediate trails, Rime and Reason. Getting to those open trails required taking the K-1 gondola to the peak, then embarking on a 7-minute or so walk down a hiker’s bridge to the top of the North Ridge Triple chairlift. 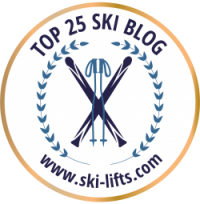 Walking in alpine ski boots is awkward under the best of circumstances, but navigating a series of wooden and metal steps in hard-soled boots with absolutely no traction made for a slow and frustrating trip. Skis at the base of the gondola. But no one really seemed to mind. All the skiers getting off the chair seemed to have ear-to-ear grins. 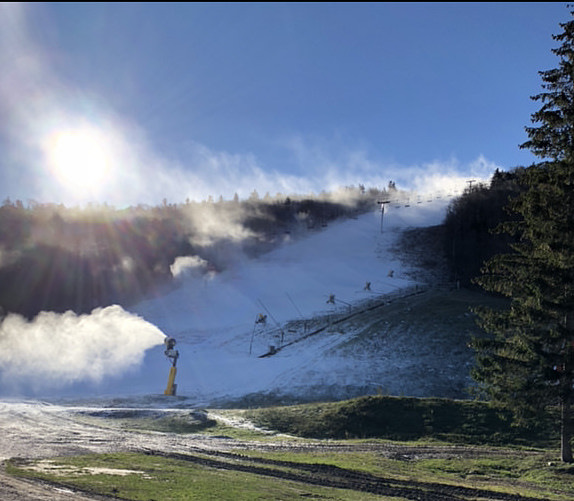 Over the roar of the snow guns, you could hear more than a few whoops and cheers as people disappeared down the trail into the haze of white spray. 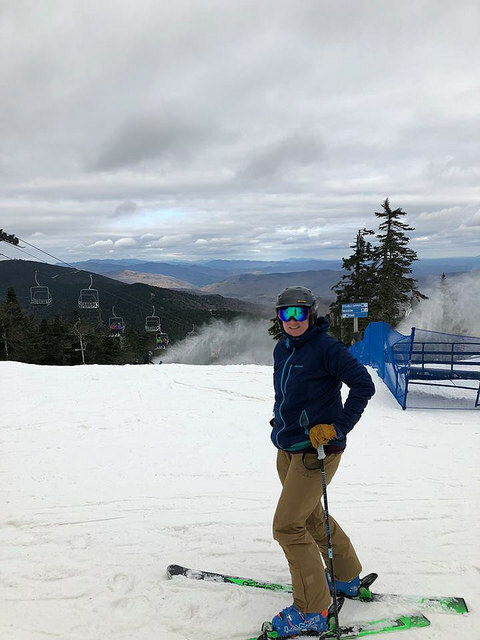 I am an intermediate skier just beginning my third full season and was decidedly more hesitant than the whoopers and cheerers. I clicked into my skis and stood nervously, unsure of how to proceed. Unsure if I wanted to proceed, which was a surprising predicament. The noise of the guns was intimidating, and the spray made visibility a challenge. The top snow layer was ungroomed, and there seemed to be precious few breaks in the crowds; I was gripped by a sudden lack of confidence. But I had come to ski and I wasn’t going to walk back up that bridge without at least giving it a try. So faced with two trail choices, I opted for the one that didn’t pass alongside the chairlift; I definitely didn’t want an audience. Once around the narrow turn at the top of Reason, the trail opened up and was surprisingly uncrowded and full of lovely, soft snow. After a few turns I relaxed and began to enjoy the run, despite the wet snow piling up on my goggles. The next run was even more fun. I ended up doing about eight runs in total, calling it a day only when the terrain bumped up to the point that, combined with the low visibility from the gun spray, I started to feel a bit out of my depth. The author of today’s blog post, Christina Dolan. Was the White Ribbon of Death worth it? To be honest, it wasn’t qualitatively the best skiing I’ve ever experienced, but it was October and we were skiing! I thoroughly enjoyed all of my runs and had a great time chatting with people as equally happy as me to finally be on the snow. The number of skiers thinned a bit as the day wore on, and a bit of patient waiting yielded mostly uncrowded runs on surprisingly good snow. My verdict? It was a joy to be skiing, and an amazing feat of seasonal trickery by the Killington snowmaking crew to make that experience possible. The excitement of the people there was infectious, and I left smiling and happy, already making plans to return a few days later. 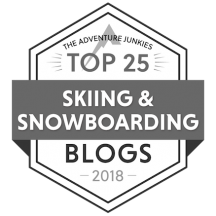 Early season conditions may not be for everyone, but to me, Rime and Reason were white ribbons of fun, and happy indications that the real ski season isn’t far away. Nice post SallyCat. Well done.